According to the information on the landing page, the company is planning to add a 32-megapixel camera sensor for selfies. Vivo V15 Pro also features a full view screen display. Vivo hasn't announced the specifications of the 32MP camera sensor it will be using in the upcoming V15 Pro. While the megapixel count is impressive, it doesn't necessarily translate to good photos. Vivo is reviving the pop-up front camera trend - first adopted on the Vivo Nex - in the new V15 Pro. The teaser video shows the Vivo V15 Pro in a Blue colour Blue variant with gradient back panel design. The setup comprises a 48-megapixel quad pixel sensor along with possibly an 8-megapixel sensor and ToF camera. So, unlike the V15 Pro, the Oppo F11 Pro doesn't have an in-display fingerprint scanner. And the smartphone will be open for pre-booking from 15 february onwards via Amazon India. 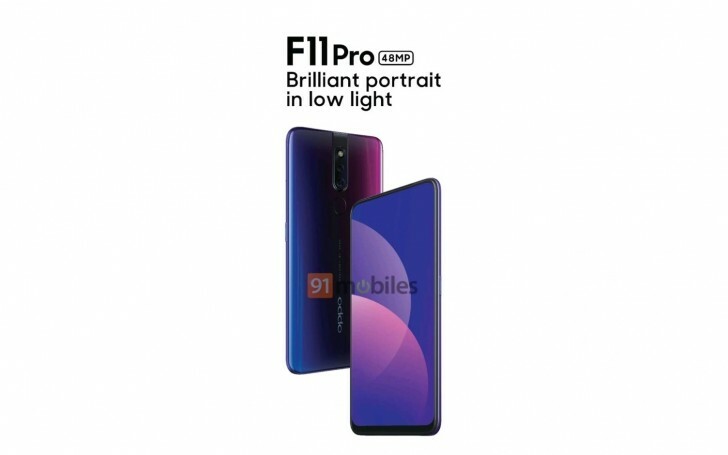 The publication has claimed that the Chinese manufacturer is aiming to launch the F11 Pro in the first week of the March. The device is said to have similar aesthetics of its predecessor Vivo Nex that launched previous year, but the internal engine would be a bigger upgrade. There is no notch or any cutout on the top for the front camera since the F11 Pro, as mentioned above, has a pop-up selfie camera. The device could come powered by a Snapdragon 675 chipset coupled with 6GB RAM and 128GB storage. The smartphone is also expected to include a SIM card slot on the bottom of the phone. The company has now teased the V15 Pro on Amazon India website confirming that the phone will be available on the website itself. The phone will come with a 3,700 mAh battery with "Dual Engine" fast charging. Well, we need to wait for few more days for the official pricing although it is expected to be priced under Rs. 30,000.